An ECPA 2003 Gold Medallion Finalist! The story of Christian theology has often been divisive and disjointed. 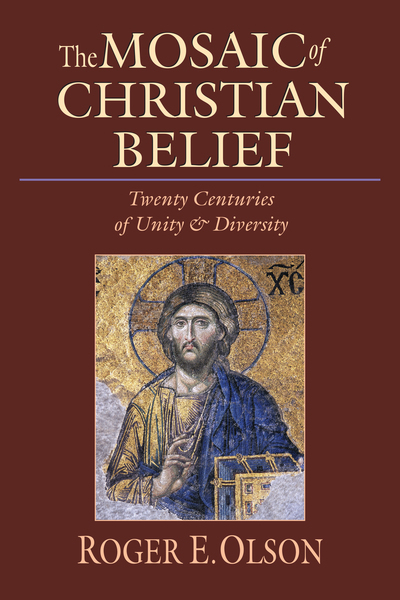 Providing this companion volume to his earlier work The Story of Christian Theology, Roger E. Olson thematically traces the contours of Christian belief down through the ages, revealing a pattern of both unity and diversity. He finds a consensus of teaching that is both unitive and able to incorporate a faithful diversity when not forced into the molds of false either-or alternatives. The mosaic that emerges from Olson's work displays a mediating evangelical theology that is nonspeculative and irenic in spirit and tone. Specifically written with the nonspecialist in mind, Olson has masterfully sketched out the contours of Christian faith with simplicity while avoiding oversimplification.